The accommodation comprises two circa 18c cottages with many original features a short distance from the centre of the picturesque village of Crich with all the key amenities you might need a short walk away. The cottage looks onto a cottage garden with off the road parking, seating and BBQ. Crich is an historic village famous for it community activities and the tram museum. This 4 room property has additional toilets on the first floor and toilet and shower room on the ground floor. As you can see from the pictures it has many historic features and the under floor heating very effectively keeps it warm complimented by the log burner. The South faces the cottage garden providing a great place to relax in the sun and BBQ on a summers evening. The community is great and although rhe village is small it has retained its heart with a wide range of amenities. These include a butcher and a great baker (the loaf), but I must admit the candle stick maker has had to close! There is also a wide range of places to eat including a takeaway and restaurant. A short walk from the cottage takes you to views over the Derwent valley world heritage site and many walk options including the Cromford canal (which you can also cycle) taking you to the historic Arkwright mills and the tourist scene of Matlock Bath. Roy and Ann obviously put a great deal of thought and effort in creating this comfortable cottage. It is very well equipped and supplied so you can start enjoying the cottage right away. Threre is even a spare toothbrush in case you forgot to bring your own. Tastefully decorated, just excellent. Lovely cottage. Friendly and helpful owners. Beautiful area with lots to do. What a great find! We really enjoyed our stay in this spacious, comfortable and well appointed cottage. As soon as we opened the door we felt at home. Communication with the owners was prompt and clear. In the village, we were welcomed at the local pub, the butchers shop and "The Loaf" which sold very tasty breakfasts and lunches as well as excellent bread. There are lots of interesting villages within a few minutes drive to discover and an abundance of walking and cycling routes. The museum (with working spinning and weaving machines) at the Masson Mills is worth a visit. 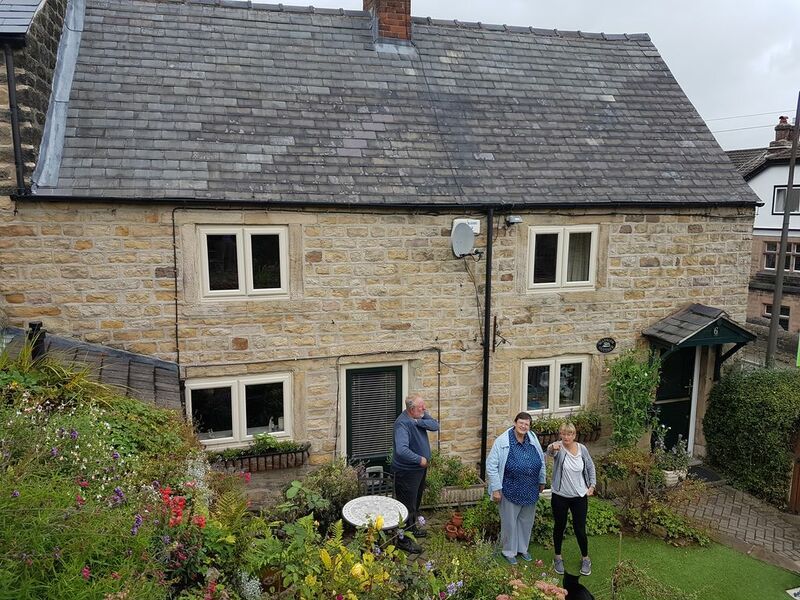 We have no hesitation in recommending this cottage to anyone looking for a base to explore the delights of Derbyshire.